“The Lord’s Prayer” is perhaps the most popular prayer in all of Christianity. Known in many languages and recited around the world, it’s a short, simple and powerful summation of the Christian faith. From “Our Father” to “Amen,” the prayer delivers a memorable message of heavenly glory, earthly forgiveness, and human resolve in the face of temptation. If you ever find your faith fading, read “The Lord’s Prayer” with fresh eyes and you should feel it renewed. The Prayer Pendant features the “The Lord’s Prayer” etched into an 18K gold-finished stainless steel pendant. 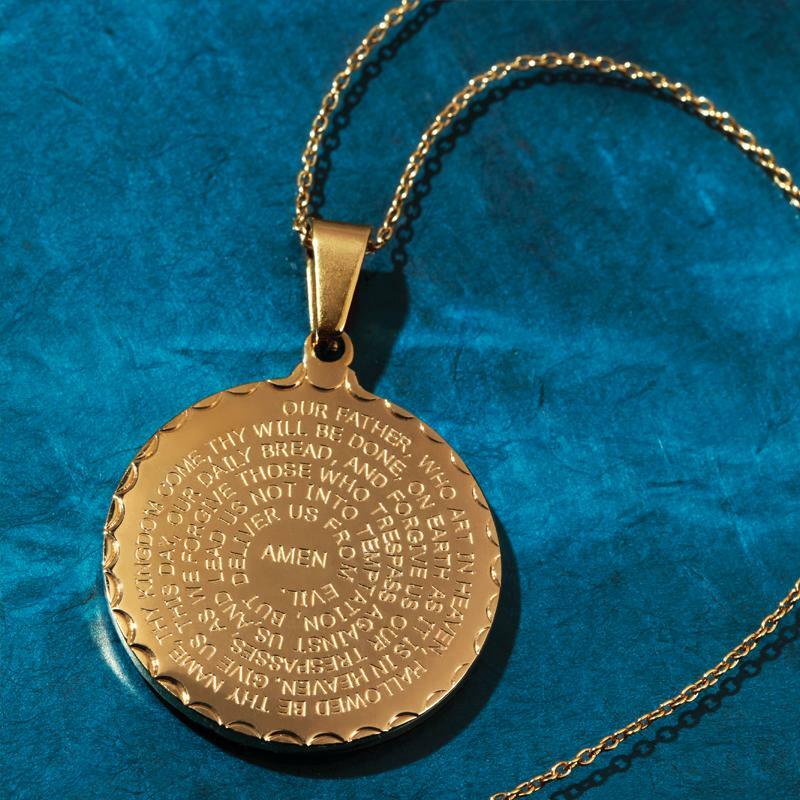 Many of our other items contain a precious gemstone, but here “The Lord’s Prayer” takes center stage. The pendant’s reverse side features hands clasped together in prayer–– a classic symbol of vigilant faith. The Prayer Pendant is a beautiful but affordable way to carry this foundational piece of Christian faith with you wherever you go.